Happy Wednesday (and Happy Halloween!!!) 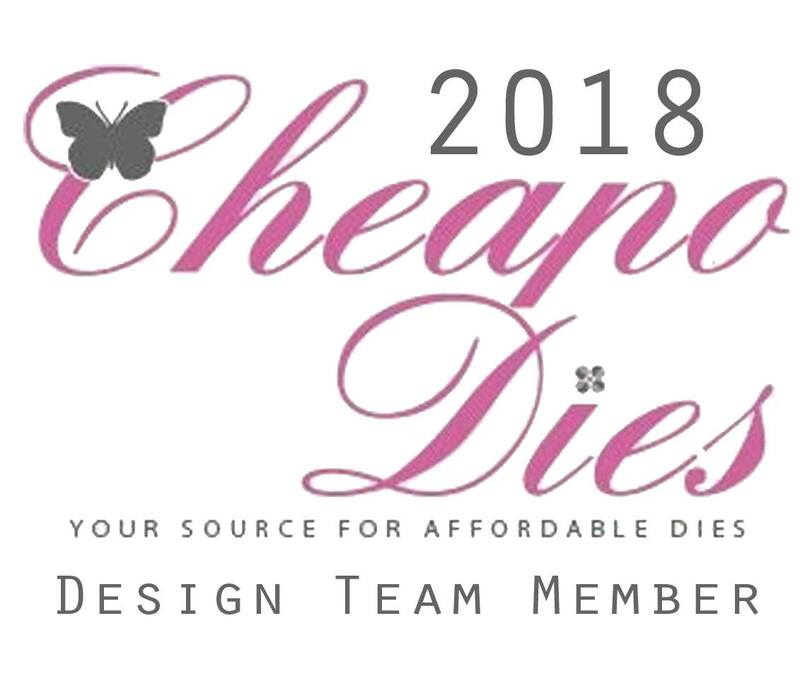 Wednesday is my day to share with you a new Cheapo Dies papercraft creation! I know it's Halloween, but I'm sharing a Christmas Card with you today! Today I'm using the Snowflake Flourish Die! I tried to emulate some falling snow using the Crystal Drops :) I really love this paper line from Prima (Santa Baby). It's time for a new challenge over at Creative Knockouts Challenge #267! Our theme this week is "Wet or Dry Embossing" and our sponsor is "Little Miss Muffet Stamps". I chose to work with a stamp set called "Jack'o Lantern" - perfect for a cute Halloween card! 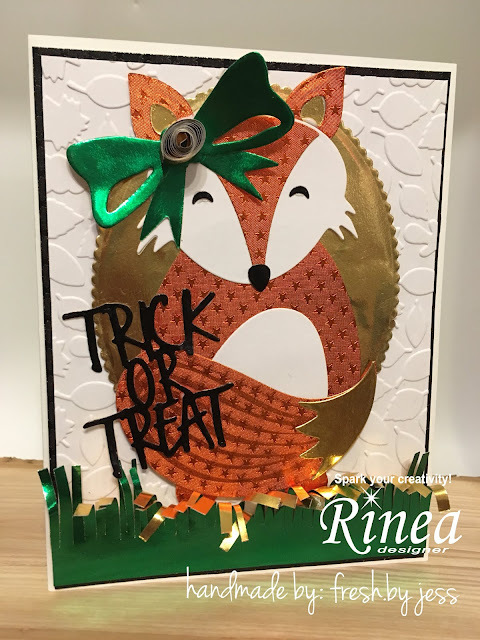 In a nutshell....I printed off the digi and used the Clear Mark Embossing Pen to add Tangy Tangerine Embossing Powder to the pumpkin. I used Nuvo Aqua Flow Pens to color the image and once again used the Embossing Pen to add the embossing powder to his beak. The sentiment was stamped with Versamark Ink and heat embossed with Tangy Tangerine Embossing Powder. I used a Tim Holtz embossing folder on the green cardstock in the background to add even more texture to the card. I just received the NEW Nuvo Vintage Drops so I just HAD to use them on the card to finish it off. I used the Pioneer Green. I used the Santa Baby Paper line by Prima along with some Shaved Ice Glitter, Sparkling Snow Glitter, Nuvo Crystal Drops and Nuvo Glitter Drops! I love the vintage color palette! I used the "Christmas in the Village" Paper Pack by Bo Bunny to create this card along with a retired Close to My Heart Stamp Set! 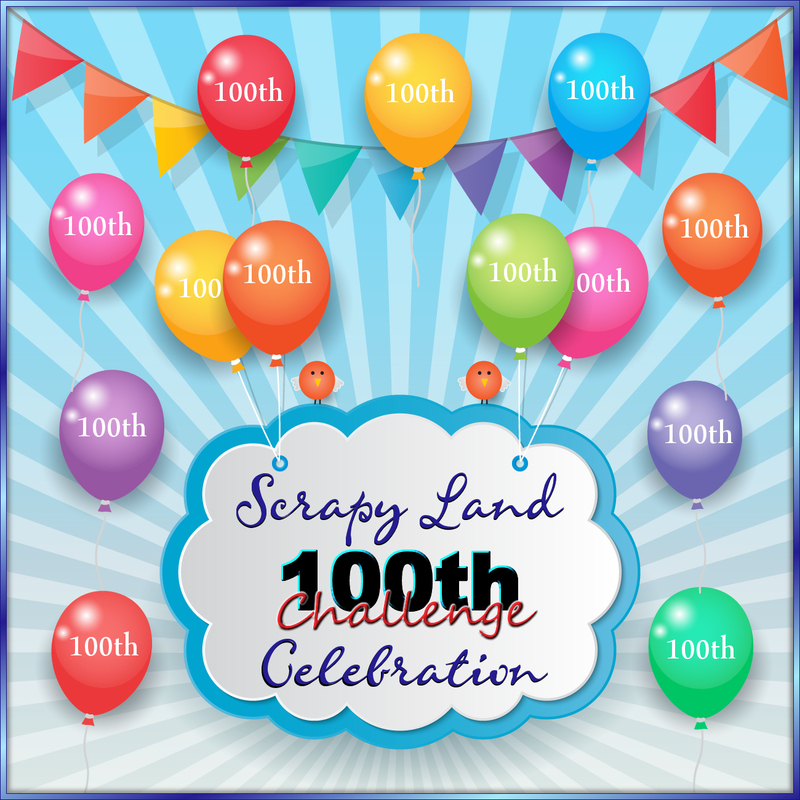 It's time for a new challenge at Cute N Crafty Challenge! We welcome any project using an image from any artist. Our theme is......Anything Goes! 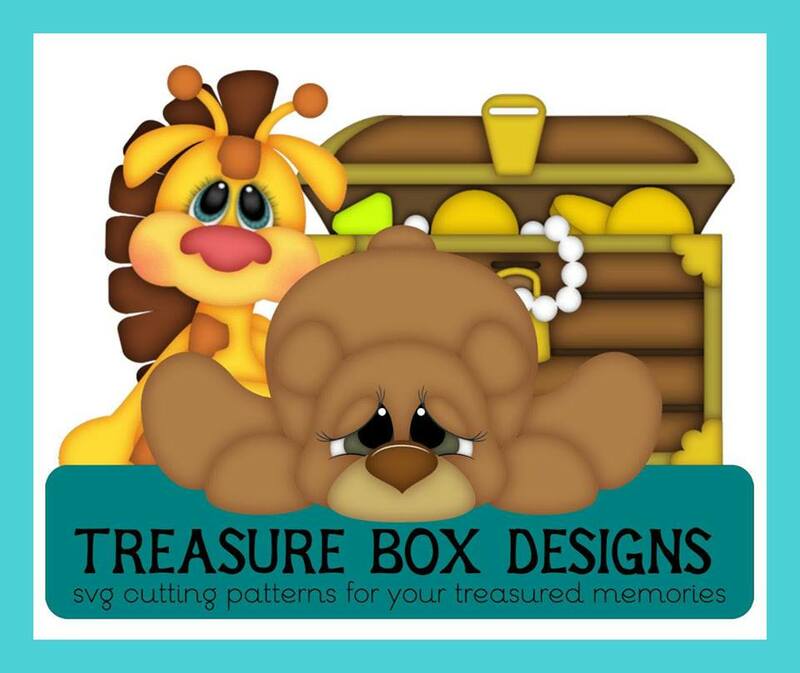 Our Prize is 2 files from Treasure Box Designs! Of course I had to make a cute card for my second Rinea Project of the month! I just love this cute little Fox Die from Tonic Studios, so I couldn't help but do a paper piecing card for this project! For this project, I once again used the Haunted Variety Pack. 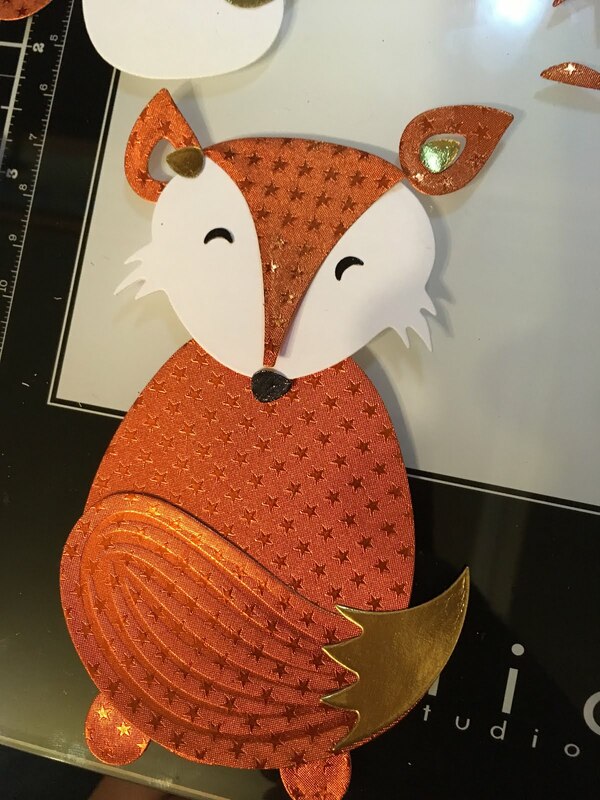 The Starstruck Marigold/Gold Foiled Paper was the perfect tone for the fox! I die cut white cardstock for some of the accents and also some Glossy Ebony Black/Gold Foiled Paper. The sentiment was also cut form the Glossy Ebony Black/Gold . All the pieces were glued together with Nuvo Deluxe adhesive. It's so much fun to create these piece creatures! For the grass, I used the Emerald/Gold Glossy Foiled Paper. I simply cut a 4" strip and used scissors to randomly cut the grass stalks! Super easy!. 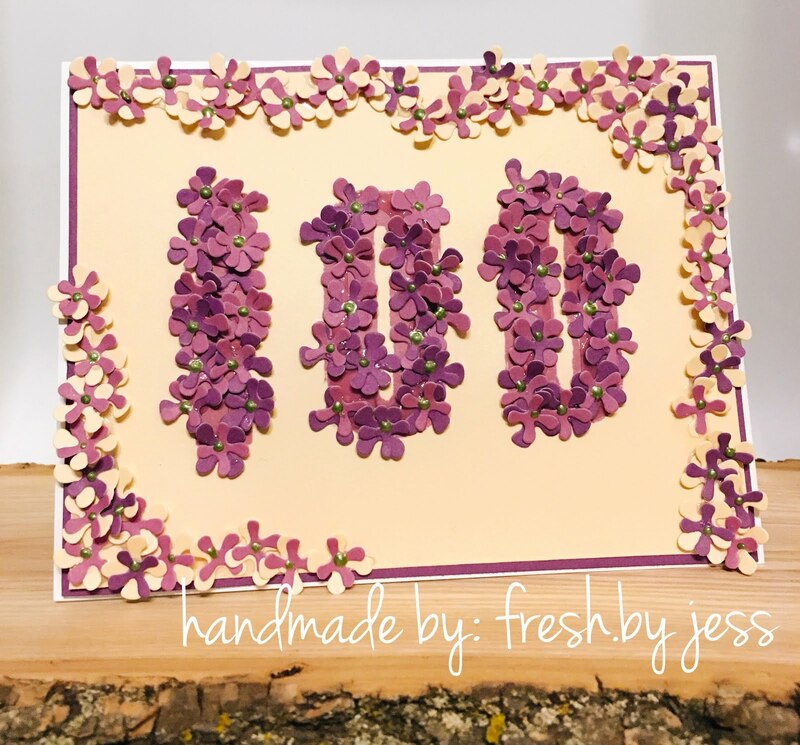 The background was a white cardstock that was embossed with a leaves embossing folder. I also added a gold foiled paper oval in the background (I just used a scrap piece - and used the lovely GOLD side of the foiled paper!). I have another cute project to share with you for SparkleNSprinkle! It's that time of year - time to start on your Holiday Cards! You are going to just love this sweet kitty stamp!! 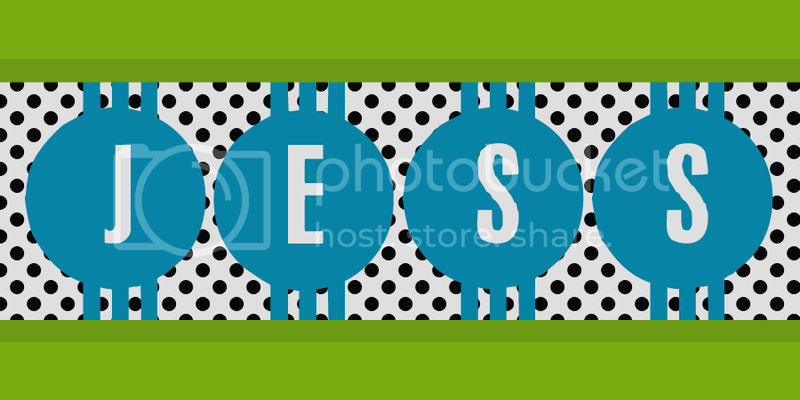 Step 1 - Create your focal image! I started by stamping the sweet kitty onto a piece of white cardstock using Versafine Ink. I used my Nuvo Marker Pens to color up the kitty. Once she was all colored, I used my Nuvo Clear Mark Embossing Pen to add Blue Silver Embossing Powder to the string of lights. 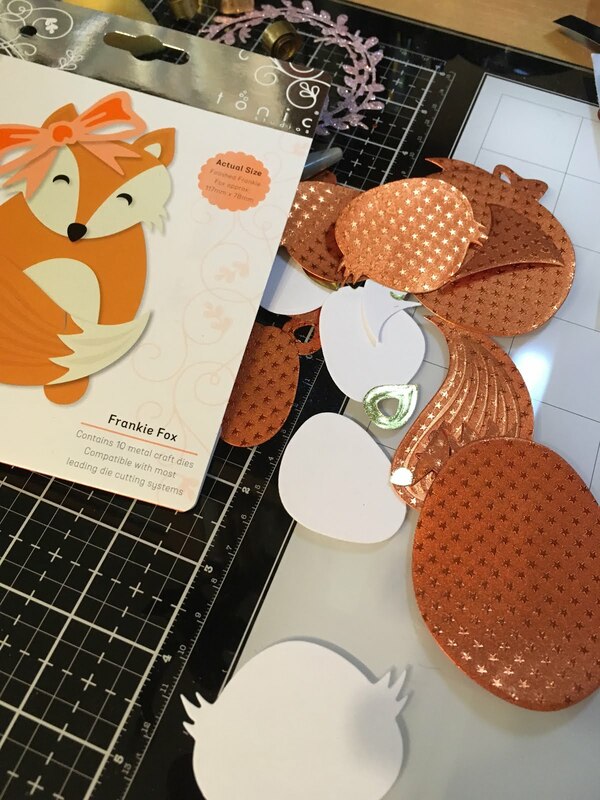 It's a pretty neat way to add small details of embossing powder. I used the SNS Dimensional Glue to add Christmas Lights Glitter and Fire Engine Red Glitter to the lights for sparkle! Then the kitty was fussy cut out. I cut some ovals using the Tonic Mixed Edge Ovals die and stamped the string of lights image with Versafine Ink. Once again I colored the lights using Nuvo Marker Pens and added Silver Embossing Powder to the lights using the Clear Mark Embossing Pen. I did add a bit of the glitter to these lights too. 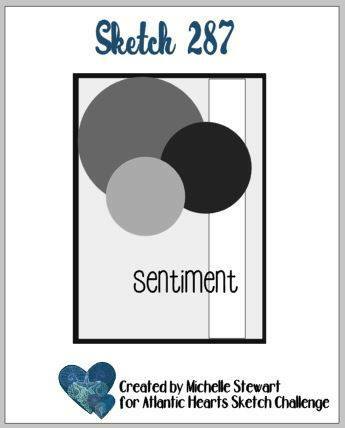 I stamped the Sentiment with Versamark Ink and embossed with Red Apple Embossing Powder. Step 4 - Put It ALL Together and Embellish! All the layers were added using the 1/2" Tear-ific Tape. Drops of Ruby Slippers Glitter Drops were added in the corners for accents. I used the Christmas Sequins - they are just too cute! 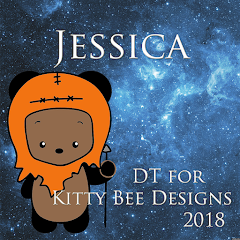 I hope you like this sweet kitty card! 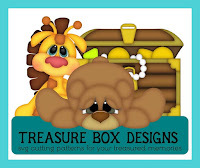 It's just an adorable set - I know you will love it! 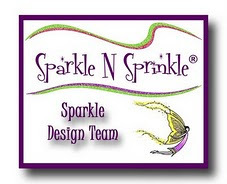 Want to save 10% on all your regular SparkleNSprinkle purchases? 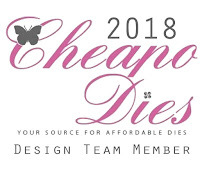 Use code JessDT10 when you checkout!